Wait — your corporate job can make you rich! On October 2, 2018, the founder of BAUCE Magazine, Liane Membis, had the opportunity to give a Tedx Talk to over 1,000 people in person and via a private video stream. 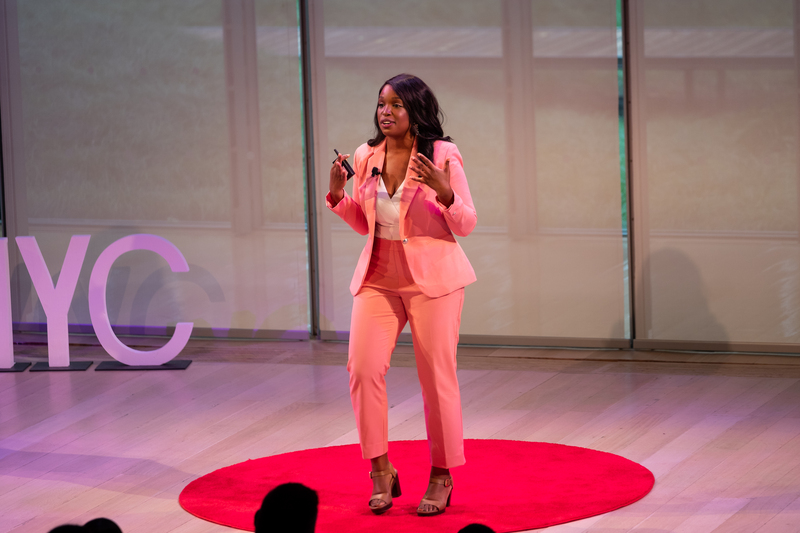 Titled, “Wait — Your Corporate Job Can Make You Rich!”, the talk, which lasted for approximately five minutes, focused on how people in the corporate workforce can actually leverage their paychecks to help them achieve their long-term wealth goals. Liane, who is passionate about the topic of financial freedom and wealth-building, said that the experience was “life-changing”. Click the play button on the video below to watch the talk!